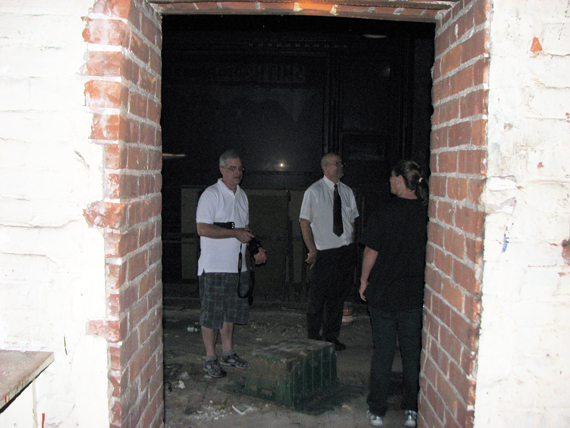 Peering into the bank vault. 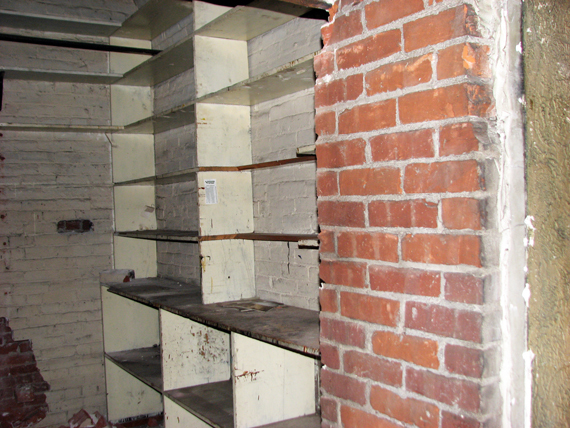 You can see on the wall where the bank vault door originally fit. 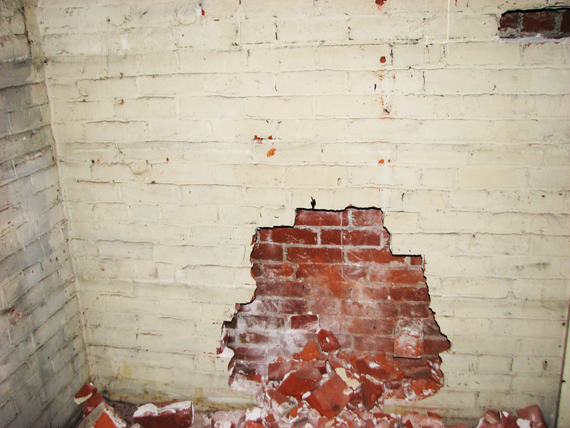 Entrance to vault, west side of doorway and wall inside the vault. 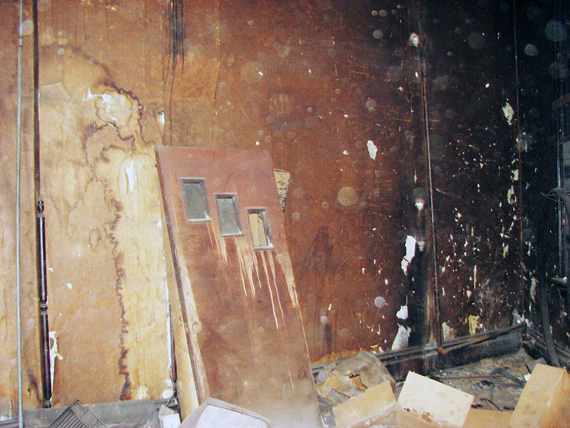 Back wall of the bank vault. 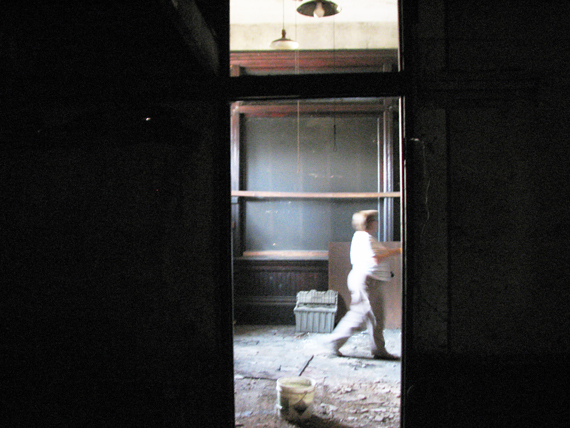 Looking out into the bank main space from inside the vault. 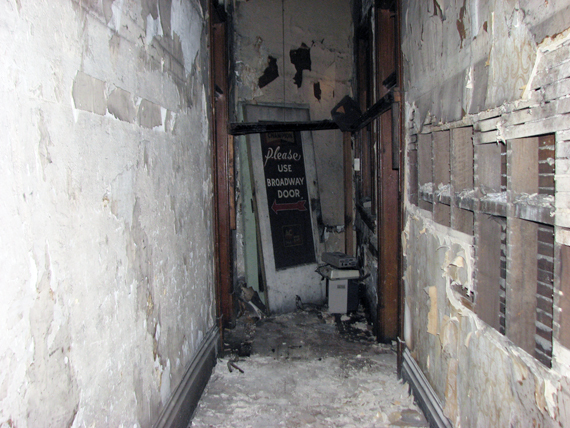 The door leading to office spaces on the west end of the south wall of the original bank area. 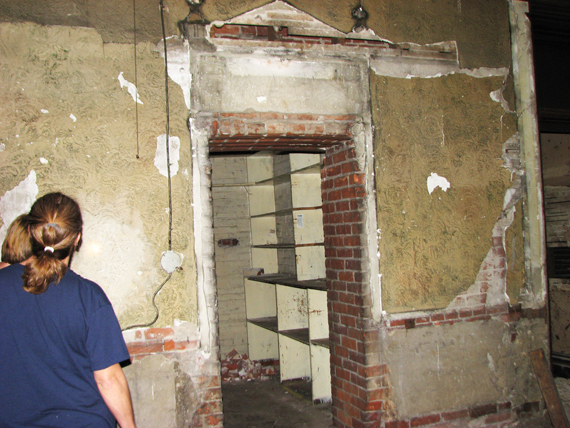 Standing inside the above door looking back into the original bank area. This picture and the follwing two pictures are some scenes from the hallway. 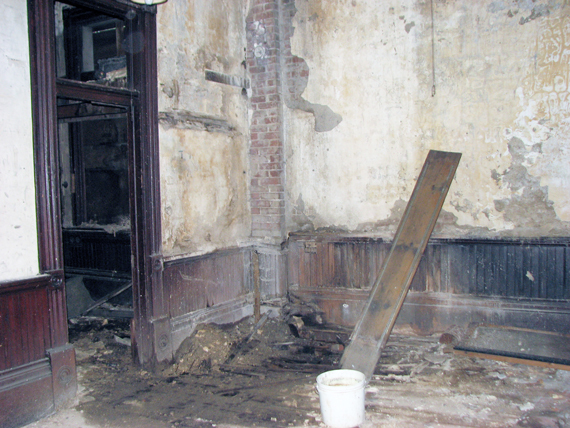 and office spaces off the original bank area on the first floor of the PNB building. 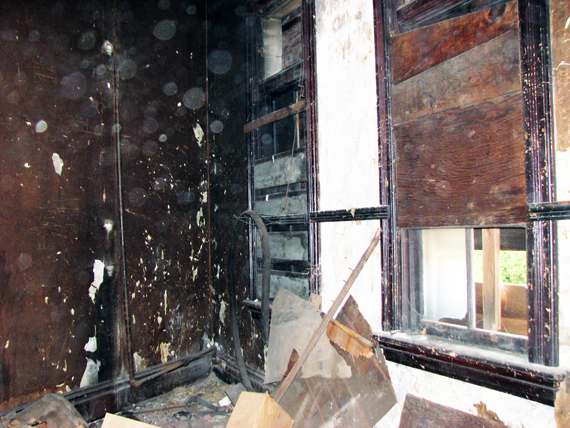 This finishes our photographic tour of the first floor of the PNB building. 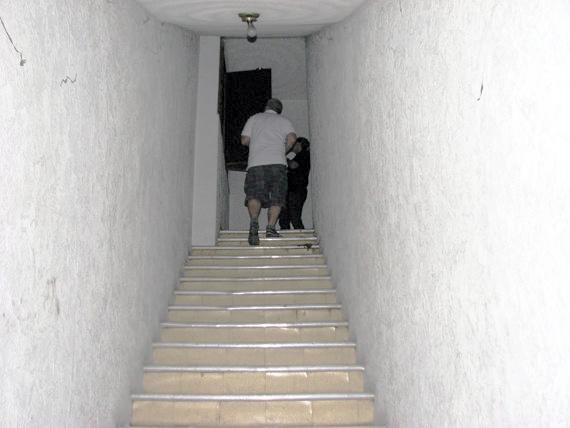 Climbing the stairs to the second floor.